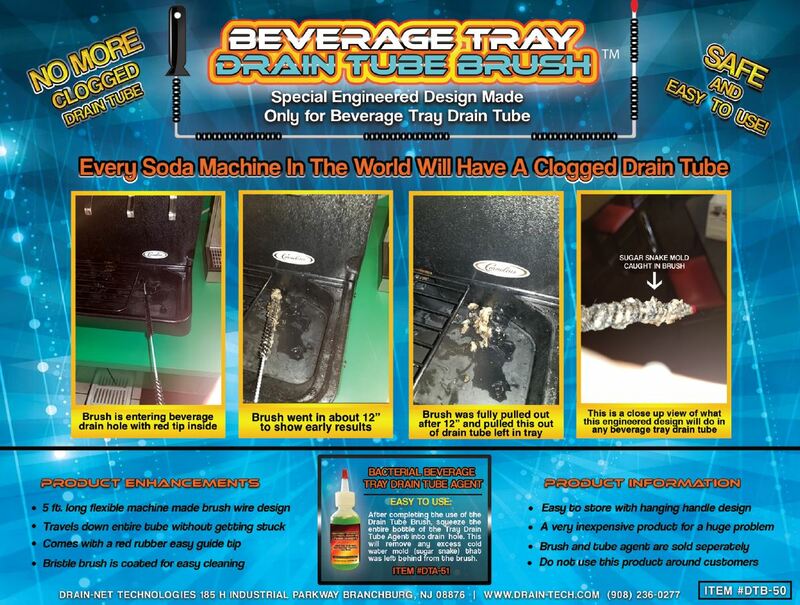 Now you have a safe and easy way to clean the beverage tray drain tube to eliminate cold water mold, sugar snakes and drain clogs! 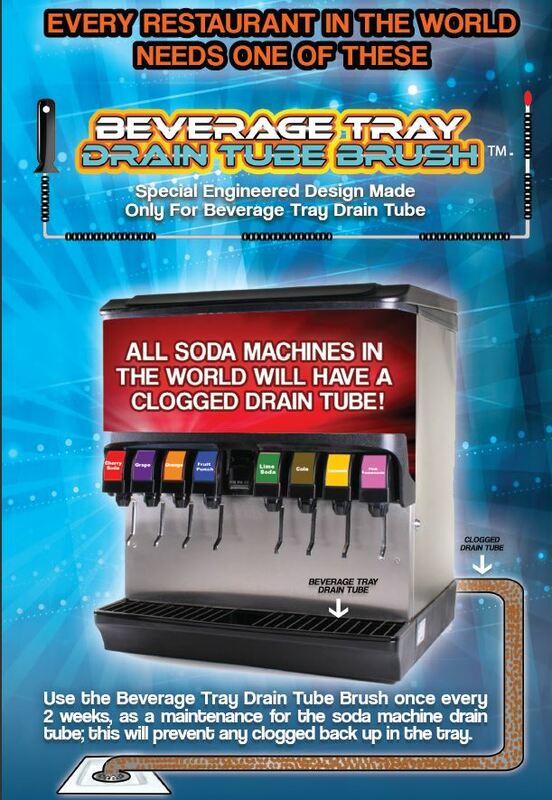 Soda fountain (or beverage towers) drain into a tray and then into a drain tube. This drain tube gets sugar snakes and cold water mold that can eventually clog the drain completely. Now there is an easy and safe way to clean this beverage tray drain tube. The brush also comes with our Drain Tube Agent, which is a natural bio-product. After cleaning the beverage tray tube, squirt the 2 oz bottle into the drain. This Agent will help remove any remaining mold or buildup and will coat the drain lines to slow future drain buildup. Brush for cleaning the Soda Fountain Drain Tube... no more Sugar Snakes!